I'm on the Scrapbook Stamp Society blog today with a very fun image that I colored. It's another Lil' Rosie image. This is img723, found in the My Besties Shop. I colored img723, Lil' Rosie, with Copic markers. There is a lot of detail to challenge yourself and make this coloring very fun! You'll find img723, other Lil'Rosies, many new and classic digis, pre-colored stamps, acrylic stamps, paper packs and more in the My Besties Shop. Papers on this card are from We Are 3 Digital Shop. They are the Tropical Delight Digital Papers. Lil' Rosie is a cutie. What a great job you did on the colouring! Beautiful card, Julie. Hope you're having a lovley weekend. Such a fabulous card ! I love the pink hair ! Thanks for sharing with us at My Besties Spanish Challenge Blog and hope to see you again soon. Hermoso trabajo, gracias por compartirlo con nosotras en My Besties Spanish Challenge Blog. 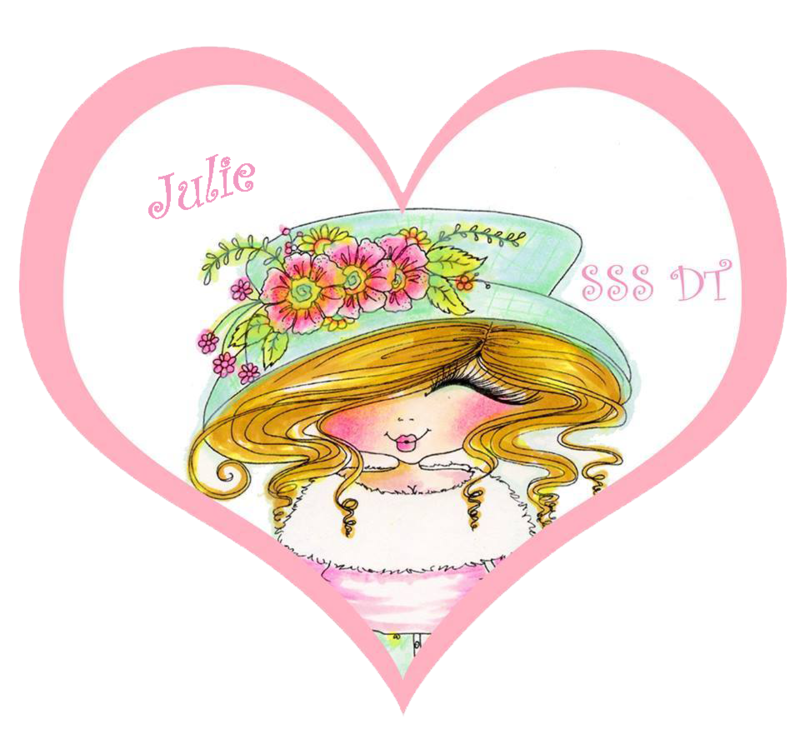 Lovely card Julie, thanks for playing along with Scrapbook Stamp Society Challenge and good luck.